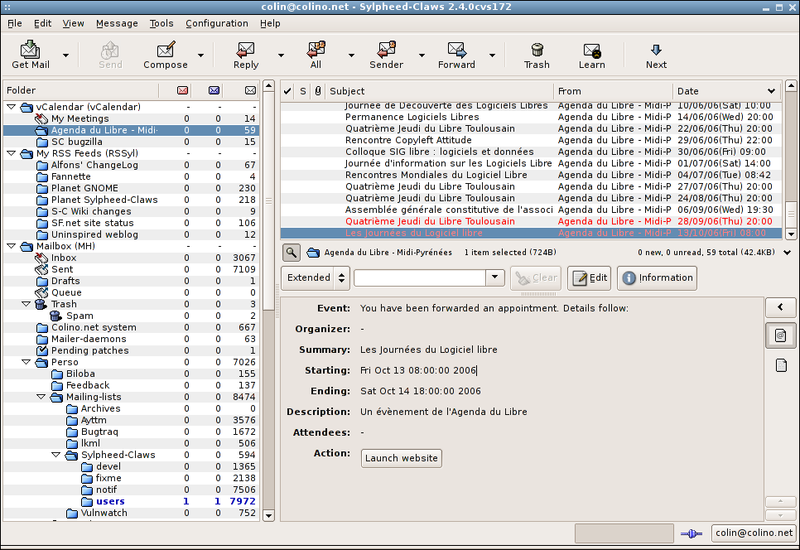 The calendars and events are displayed in a list, in the same way that Claws Mail displays your emails. This is an invitation that has been sent to you. You can either accept it or decline it. 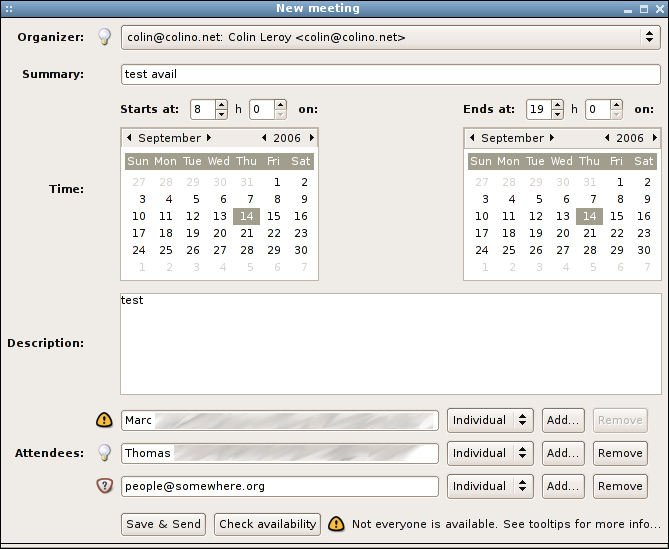 Here you are inviting three people to a meeting. 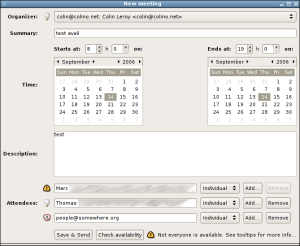 Marc is not available at this time, Thomas is available, and the third invitee didn't publish his free/busy information. If you hover over Marc's warning icon, or the global warning icon, you will see other times proposed, where everyone would be available. 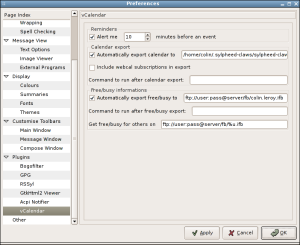 This shows vCalendar's preferences. You can choose to get reminders before your events; you can publish your full calendar, either locally or online, and publish your free/busy information. 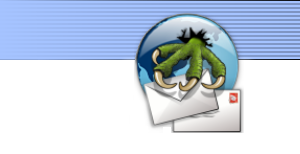 To get information from others, you can specify '%u', which is replaced by the left-hand part of the invitee's email address, and/or '%d' for the domain. 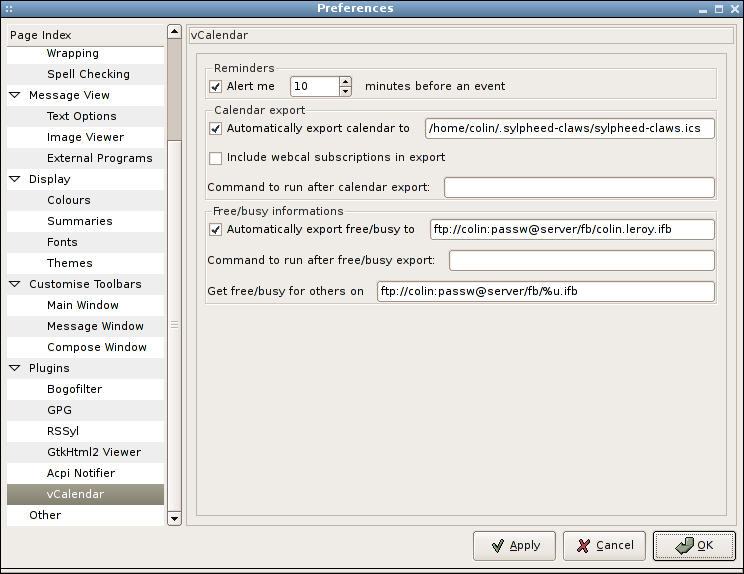 Finally, after exporting your calendar or free/busy status, you can ask Claws to run a command for you; for example, a little script which would check if your PDA is plugged in and copy the data to it. 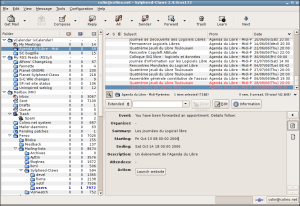 This shows a public calendar from the internet, so that you can easily keep up with what happens in your area, for example. 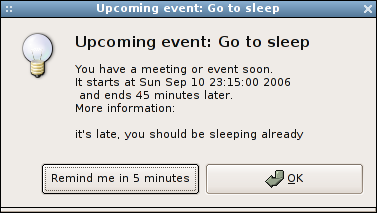 This is the popup window that will prevent you from forgetting important meetings.